Developing Java applications is very common nowadays. It's one of the most used formats, and the number of people that are looking to complete Java projects is also increasing, mainly because it is one of the web technologies with more presence amongst users. JRun has been designed as a simplified Java program creation software application with which it will be easy to quickly develop projects. Despite this fact, it has all the tools that the user may find necessary and at a price that is a lot lower than that of the main competitors on the market. With this product you will achieve an important productivity improvement when you develop your applications. It was one of the first programs that received the J2EE 1.3 compatibility certificate, which guarantees that all the applications that have this feature are compatible with the software. 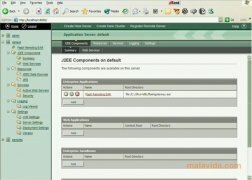 It includes a pure J2EE standard implementation that avoids the problems with patents, the EJB container has been redesigned according to the new EJB 2.0 characteristics, and it has native options for Macromedia Flash MX connections, which allows different applications to work together. 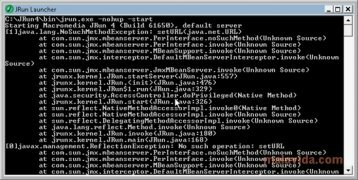 If you want to develop your own Java applications and you're looking for a complete software application that is capable of simplifying the task, your should try out JRun.